Realtor’s Michael & Anita Marchena are full-time real estate agents that specialize in selling homes in any market fast and for top dollar. 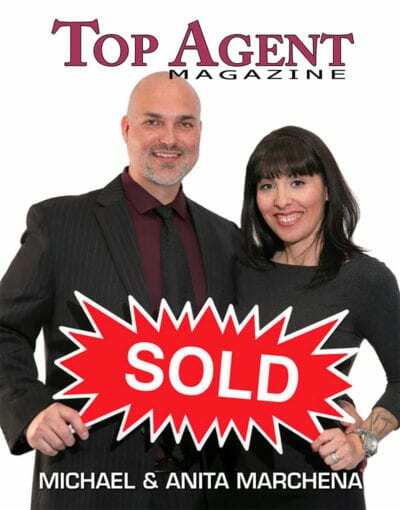 Michael & Anita Marchena are considered one of the top 1% Realtors in the Temecula, Murrieta, Winchester, Menifee, Wildomar and all surrounding areas. Currently, Michael & Anita Marchena work out of the Signature Real Estate Group located in Murrieta California and has consistently been ranked top 10 Realtors in an office with 300+ Real Estate Agents. Michael & Anita Marchena started their Real Estate team in July 2016, so that they can continue delivering top quality service to all of their clients. Michael & Anita Marchena’s primary focus is to provide the best possible service for our clients. Anita Marchena is part of the Michael Marchena Home Team one of the Top Teams in the Temecula, Murrieta, Wildomar, Winchester, Menifee, Lake Elsinore, and all surrounding areas. Anita and her team have listed and sold homes for top dollar and usually in a faster time frame than other listings not listed with our team. Anita Marchena has 2 daughters and is married to Michael Marchena which has taught her lots of patience along with excelling at her communication skills which translates well into Real Estate and is a key factor for getting the job done. Anita Marchena will be a major part of the listing process from beginning to end to help with anything that may arise and to answer any questions that you may have. Anita has lived in Murrieta since 2012 and is familiar with the surrounding areas. Anita also speaks fluent English and Spanish, so bring on the Spanish or english speaking clients because she is excited to help.